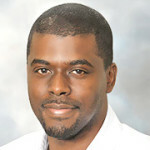 Amadou Daffe is the CEO and Co-Founder of Coders4Africa Inc. Amadou is from Senegal, but educated in the USA. He holds a BS in Computer Science and a MS in Information Systems. He is a Software Architect with a decade of software engineering and enterprise application development experience, as well as extensive experience in the financial, retail, software and legal industries. Amadou has a deep understanding of the culture and needs of the African IT professionals he serves. C4A provides young African coders infrastructure, logistics and gateway to high quality practical training in technologies and platforms that currently dominate the software development industry. C4A has developed a virtual network of coders from African countries and Africans in the diaspora who share knowledge and C4A has a series of local chapters in 7 African countries.